Hello there and welcome back! Hope you have had a nice week, I feel like it went by WAY too fast. The best part about Friday's is new music tho so I am excited about that! 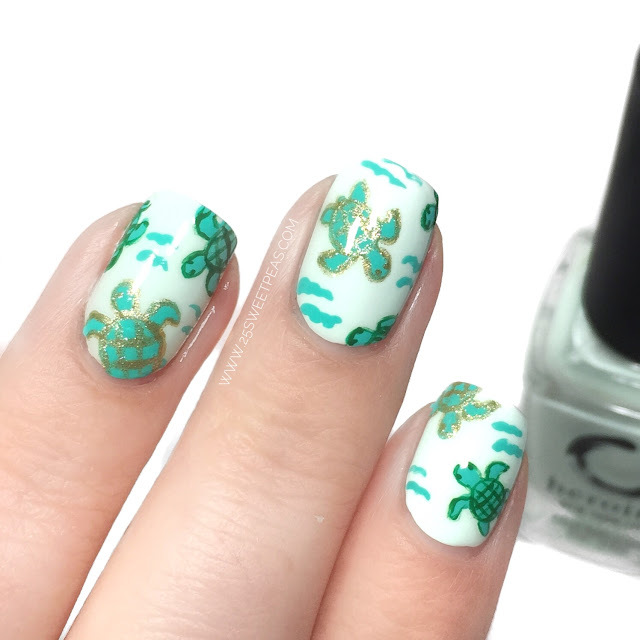 Anywhoo today I have some fun Sea Turtle nails to show you plus there is also a tutorial up on Youtube today as well which is exciting. So lets get right to all of the fun! Starting with the close up right off the bat! 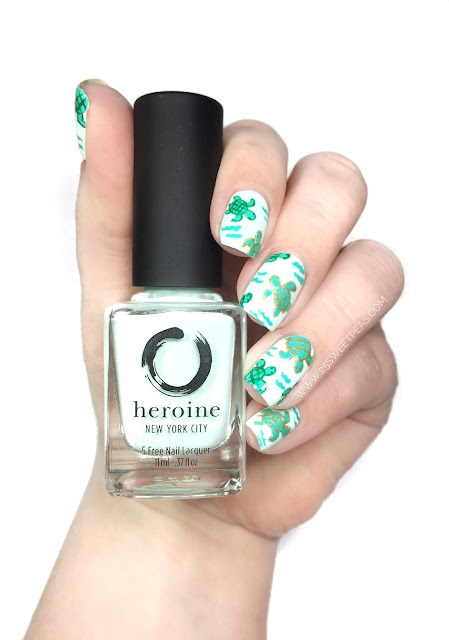 I saw THIS print on Pinterest and knew I had to figure out how to create a mani similar to it. 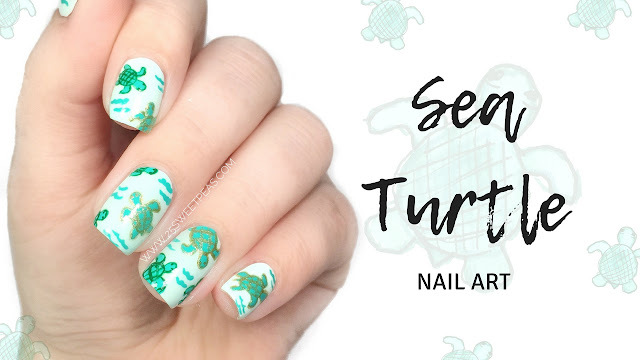 For numerous reasons too, one being I love sea turtles and in the book I have really been writing more avidly this week sea turtles play a big role so it seemed fitting to finally have some sea turtles on my nails! 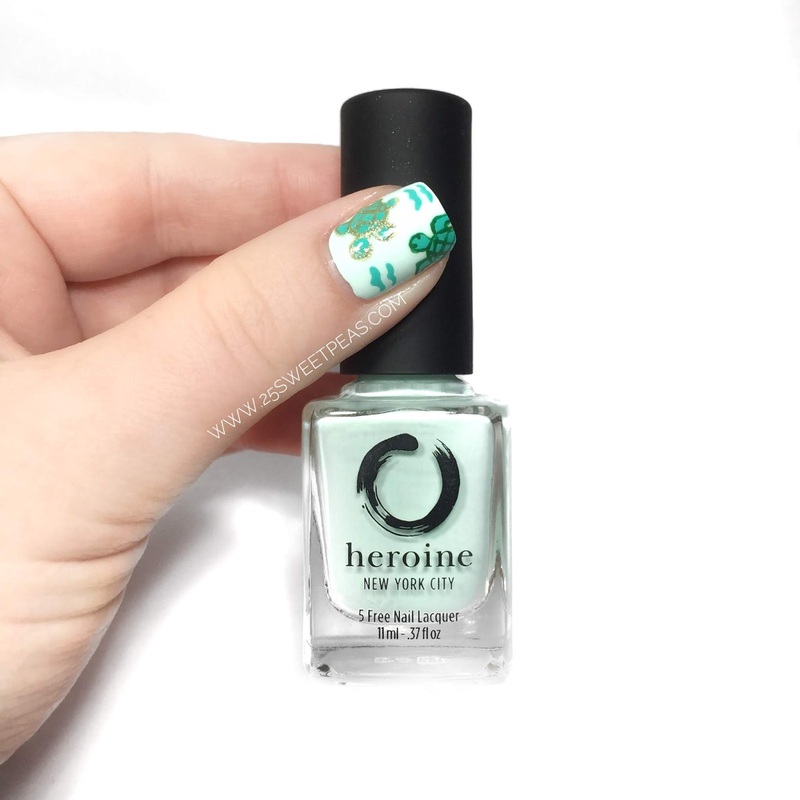 The polish I used is called Empower-Mint by Heroine NYC which is a great polish might I mention! Then for the turtles and the lil waves I used all acrylic paint and freehanded the turtles and the wavy bits! Well that is the final photo of todays post! I hope you enjoyed these nails, I really loved them! I did another mani that has a similar theme that I thought was going to go in todays post but I decided to wait on it to add some fun lil extras with it. Maybe some actual art on paper ya know? What do you think? Should more posts have paper art to go with the nail art? Let me know in the comments please! Thats a wrap! Hope you like the tutorial for these Sea Turtle Nails, I think its a pretty straight forward design and easier than expected when you break it down and see it done. If you have any requests for upcoming nail art let me know and I will try to do it! Thank you! Hehe! Don't think anyone is our house ever played that, but they did watch the newest movies! Thank you, and right? It flew by! Doh! These are just adorable! I love them against the white background. It works so well! Empower mint is a gorgeous base. Your freehand is beautiful. 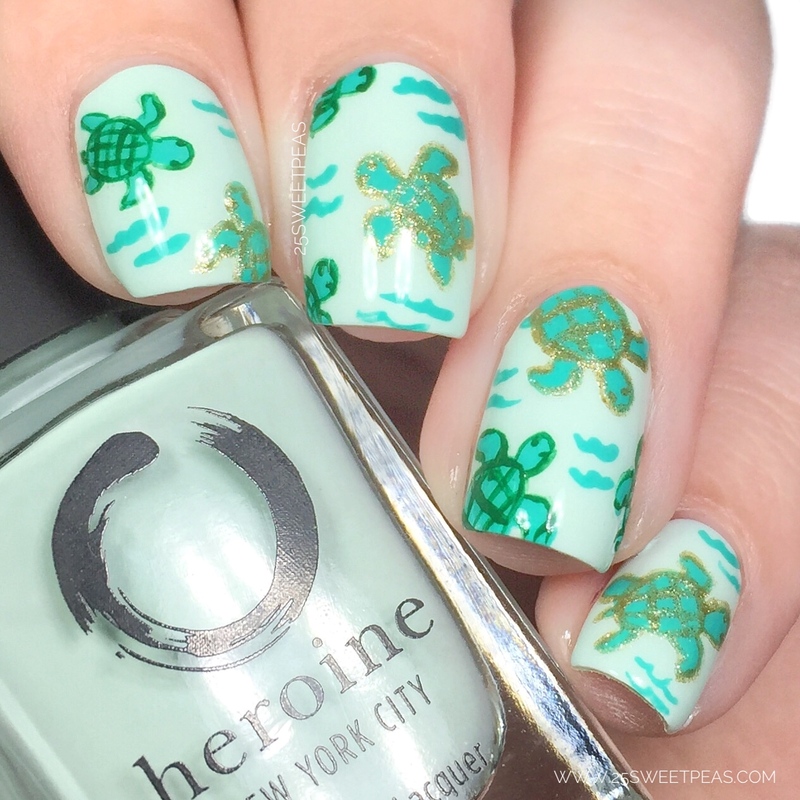 I love how you outlined your turtles in gold!